Responsible for the publication: SARL Locquirec Loisirs Services. The reproduction or representation, in whole or in part, pages, data and any other element of the site, by any process or medium whatsoever, is prohibited and constitutes without authorization an infringement that may engage the civil and criminal liability of the infringer. In order to benefit from the services offered by our establishment, we ask you to carefully read these terms and conditions of sale. It is therefore imperative that you consult and accept the Terms and Conditions when confirming your order. These General Terms and Conditions are valid from October 1, 2007. This edition cancels and replaces the previous versions. No insurance is included in the prices offered by our establishment. The information you provide on our site enables us to process and execute your booking orders. The purchase of the box is set in full before sending the box. It can be settled in three or four times at no cost, under the conditions of Crédit Agricole, provider of this offer. The box is valid for one year from the date of purchase. It can be extended by one year after payment of 10% of its price by simple call to 02-98-79-35-79. The voucher of 10 € at the registration is valid for the online store for the purchase of a gift box or on the spot by printing the mail which you received. NB: Failure to receive a deposit or deposit within one week of booking will result in the cancellation of the reservation. The deposit is a deductible, deductible at the end of the stay, worth 40% of the amount of the stay. Less than 4 days from the date of arrival: the entire stay is due. to respect the places and the furniture … like at home !! not to eat in the rooms. not to smoke in the house, ashtrays are available outside. To avoid making too much noise from 22H00 and before 9AM, for the well being of all. To respect the meal times in the evening. Rooms are available from 15:30. The rooms must be vacated by noon. Breakfast is served from 9:00 to 10:30. The evening meal is served at 20:00. You can have an aperitif at 19:30 if you wish. The swimming pool is protected by a digicode. Bathing children is the responsibility of their parents. It is forbidden to jump and dive into the pool. Patio doors must remain closed. To rinse you off the beach, you will find a shower (hot water), installed in the parking lot. Four cameras monitor the house in the public areas. The monitored rooms are, the entrance to the house, the swimming pool, the car park and the snack room. A mini bar is at your disposal self-service at the entrance of the spa area. Remember to pay your consumption in the piggy bank provided for this purpose. For any other consumption, remember to consult our map. 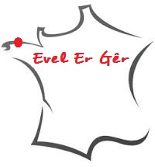 We wish you a pleasant stay in L’Escale Evel er Gêr ! !